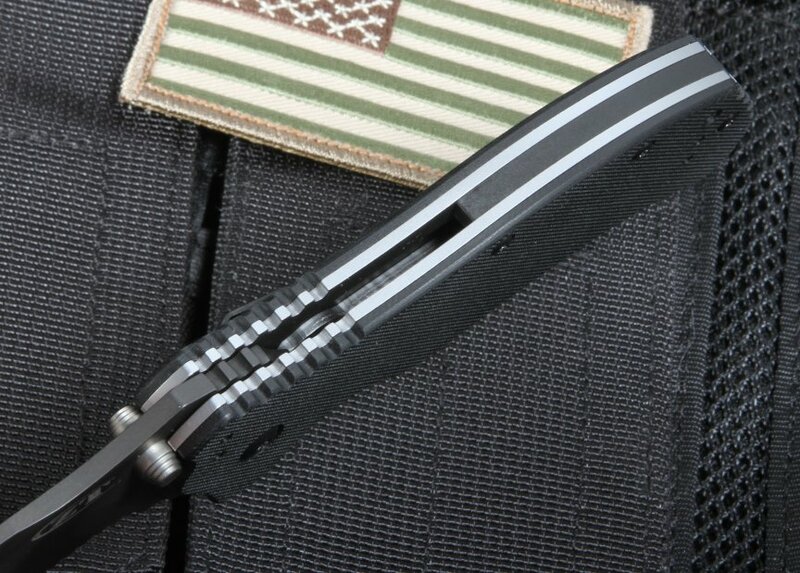 This American-made folding knife has a razor sharp stainless S-30V blade with tiger stripes and partial serrations. 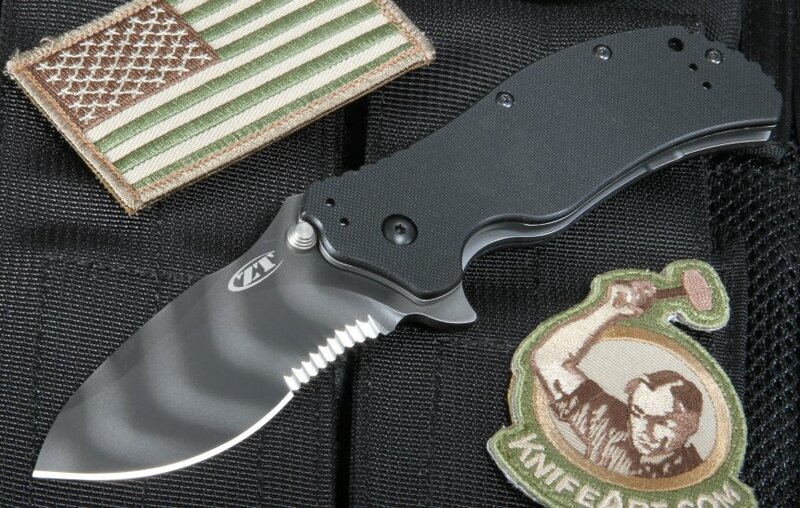 The tiger stripes provide a non-reflective matte finish on the stainless steel blade. The ZT 0350TSST has a textured G-10 handle in matte black, grippy but not too abrasive. 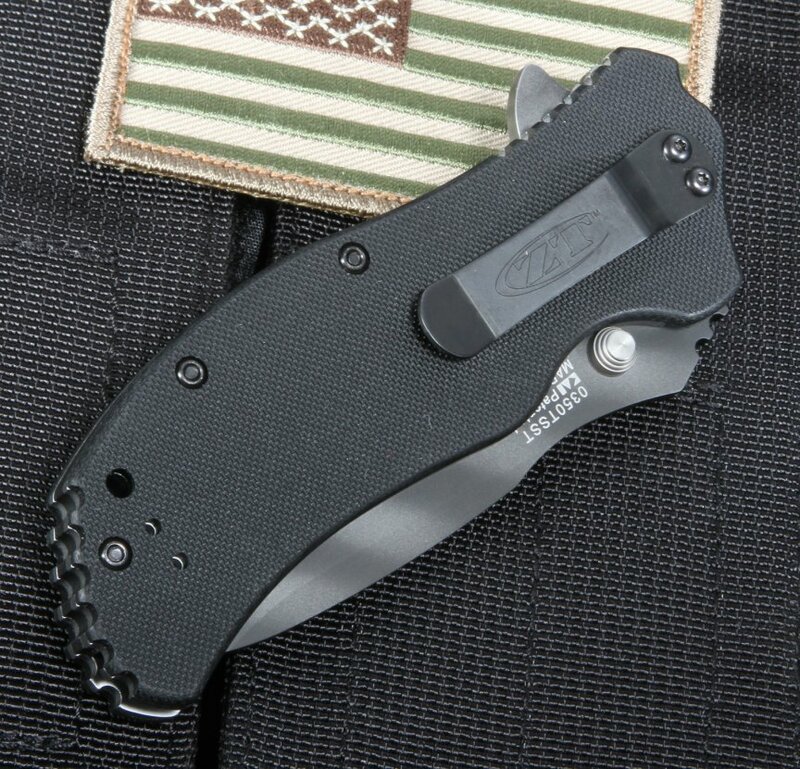 The assisted opening Zero Tolerance is built with a solid liner lock construction. The flipper opener provides the assist that makes the opening of this knife easy and convenient one-handed opening. 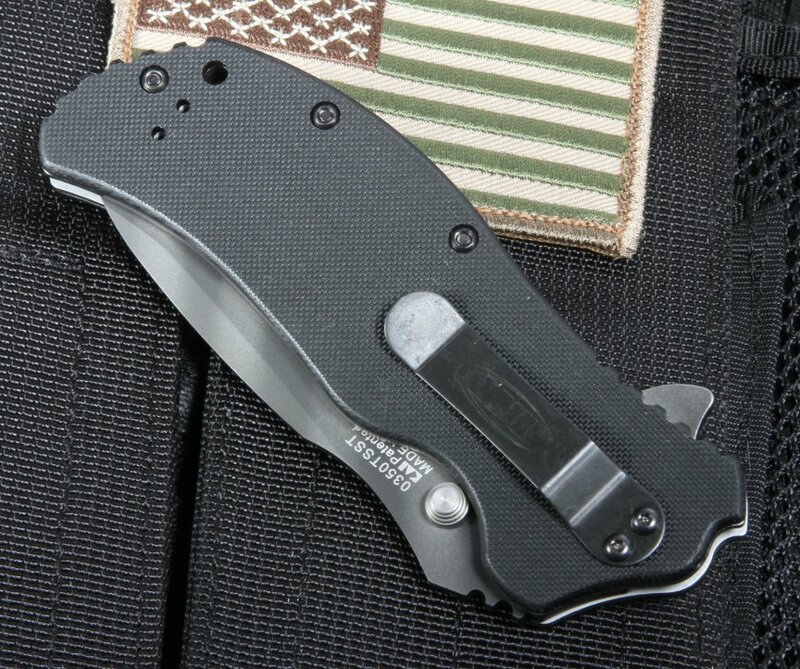 The tiger strip folding knife includes SpeedSafe, ambidextrous opening system and a quad mounting clip system for tip-up, tip-down, left or right-handed clip carry. The ZT 0350TSST has a lanyard hole in the handle, ready for your favorite paracord lanyard. This would make a great choice for your everyday carry knife or throw it in your bag to be ready for your next trip to the field. A fine knife and a work of art. 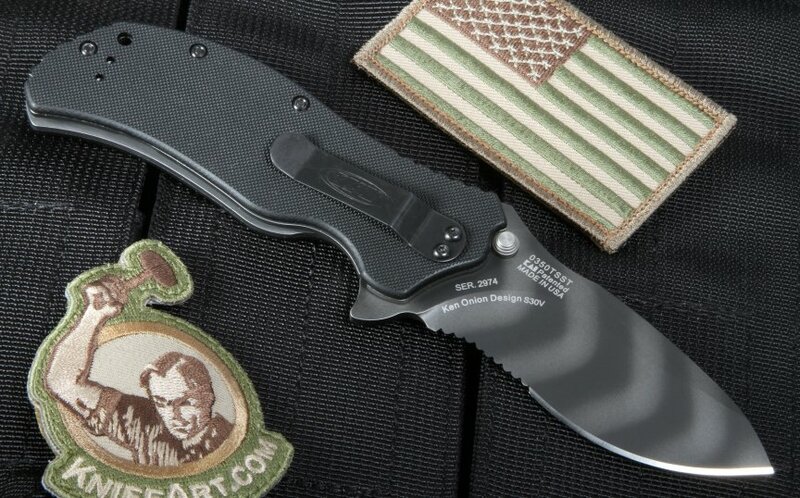 First Zero Tolerance Knife [won't be the last] Love the assist feature.